A fine quality Swedish extension dining table with up to four leaves that seats 12 comfortably. The table extends smoothly via an integral runner system and turned legs on castors. 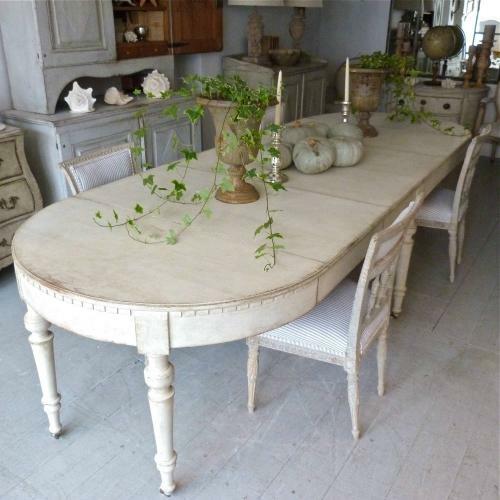 With a decorative dentil trim apron and wonderful Gustavian grey patina this table would suit large family gatherings, or can be reduced down to a small round table to seat four.